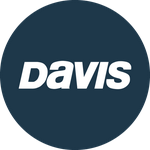 Davis Instruments Support, FAQs and Troubleshooting - How long does it take to have the order processed? All Categories ​>​ FAQ ​>​ General ​>​ How long does it take to have the order processed? How long does it take to have the order processed? Processing time usually takes 1-2 business days and orders will arrive within 5 business days from when the order was processed. How does the Queaz-Away work to minimize or eliminate travel sickness?